Wild As The Wind is an artisanal business producing handmade skincare products with the best quality essential oils and carrier oils, as well as a whole lot of love. Our UK Skincare & Healthcare products are all made by hand with the best quality, natural ingredients available. Wild As The Wind Handmade Skincare & Healthcare Products are mainly sold in person in Bristol, Bath, Wells, Shaftesbury,Street, Shepton Mallet, Frome, Castle Cary, and Glastonbury etc… so the counties of Somerset, Avon, Gloucestershire and Wiltshire are pretty much covered. ★★★★★ 5 Star Etsy Review :: Absolutely fabulous costumer service! My favourite skin care product [FACIAL OIL No. 2] from the most caring lady. A huge thanks to Rachel, you are a star! We are best known for Wild As The Wind FACIAL OILs & our beautiful essential oil infused Bath Salts wrapped in natural muslin that doubles as an exfoliating face cloth. Wild As The Wind Essential Oils are quickly becoming our second biggest seller after FACIAL OIL No. 2. Wild As The Wind stock premium quality essential oils that are immensely therapeutic. Read reviews on our Testimonials page. In excess of 75% of essential oils have been adulterated and are unlikely to deliver any medicinal benefit. The reason why Wild As The Wind is becoming so well know in the UK and Europe for essential oils is because we only sell premium grade essential oils that deliver optimal therapeutic benefits. If essential oils are anything other than pure essential oils then they are likely to be toxic rather than capable of delivering considerable medicinal benefits. Wild As The Wind is committed to supplying the best quality essential oils in the UK & Europe. You can buy face oils online within the UK (certain restrictions apply), via the WILDASTHEWINDS Etsy Shop. We are also willing to send orders to continental Europe. European orders need to be handled a little differently, but we haven’t had a problem with an European order yet. Choosing Etsy of our online sales platform was a simple decision. Etsy is all about supporting artisan producers of handmade products. All of the Wild As The Wind products are hand blended to our own recipes, and so Etsy really does represent the fundamental ethos of Wild As The Wind. We are at Wells Market on a Wednesday and Saturday from February until December, inclusive. Wild As The Wind is a permanent trader at Wells Market, and so we are always in Wells on market day, with no exception. Wells Market is the only market that Wild As The Wind support as a permanent trader. Wild As The Wind are a regular feature at Shaftestbury Market. Shaftesbury is an incredibly beautiful town with a thriving market which takes place on the third Sunday of the month. The Sunday market is known as Shaftesbury Cobbles Market.. It is very much worth a visit if you are into local, handmade products and walking in the most beautiful of scenery. Shaftesbury Cobbles Market takes place on the third Sunday of each month. There’s free parking in the Bell Street Car Park. Wild As The Wind are in Glastonbury during the summer and on occasional Tuesdays at other points in the year… Please check the Wild As The Wind Facebook Page to see if a notification confirming our attendance has been posted, or contact us to make sure we will be on Glastonbury Market when you want to visit. We also do the monthly Sunday Market at Shepton Mallet – currently suspended until further notice. ***Instead, just pop four miles down the road on a Wednesday or Saturday to the lovely Wells Market and find us there. We are in Street, near Glastonbury, on occasional Thursdays. As with our other occasional Markets in Bristol and Glastonbury, you can check the Wild As The Wind Facebook Page to see if a notification confirming our attendance has been posted, or contact us to make sure we will be there when you want to visit. Wild As The Wind used to be in Bristol at St Nicholas Market on occasional Fridays… But since Bristol was chosen as a test site for 5G, and birds started dying and falling out of the sky in mid-flight, we are a lot less inclined to go there. Please visit us in Wells instead. Please check the Wild As The Wind Facebook Page to see if a notification confirming our attendance at our occasional markets, or contact us to make sure we will be there when you want to visit. We also sell Wild As The Wind products online. We are all about nourishing, protecting, caring and providing essential oil blends for face and body, beautiful essential oil infused bath salts for sublime detoxing and mineral supplementation as well as other ingredients needed for health and healing. We provide a lot of free information about hormone health, detox protocols, pain relief, chronic health, auto-immune and digestive issues in the Wild As The Wind Blog. Check it out and subscribe if you like what you see. Please interact with these posts by leaving a comment, and share them with your family and friends if you feel they will find the information useful. *Doing these things will make the information on this website more visible to other people looking for answers to their long term health issues… so please help us to help these people also. Thanks. One of the best ways to interact with this website is for you to write a review. Just two or three sentences explaining how and why Wild As The Wind products have helped you overcome your health issues, or how and why they have helped with the condition of your skin etc, would be really magic. Or, you can also write a Google Review, and this will also help to improve our visibility within search results. If our health and nutrition are good it will show from the inside out. And, if we nourish and protect our skin, with the right kind of oils and salts, they will feed our bodies, on a profound level, from the outside in. Most health conditions stem from inflammation and dysbiosis in the gut, where bad bacteria has overwhelmed the good bacteria. The hundreds of strains of good bacteria in our gut form more than 80% of our immune system, and without good amounts of the right gut bacteria we cannot digest the nutrients in our food. Poor gut health reeks havoc on the inside, but it also reeks havoc on the outside. It plays a significant role in conditions like Eczema and Acne. Dysbiosis and leaky gut, (aka intestinal permeability), which usually go hand in hand, are often the major cause of inflammation, which causes swelling inside the body as well as in the skin. They are usually the culprits behind low energy, joint pain, food allergies, thyroid disease, and ultimately they lead to many autoimmune conditions like Psoriasis. Dysbiosis and leaky gut also cause us to have a slow metabolism, which means that weight gain is inevitable, and weight loss will not be achieved until the gut is healed. Hormone imbalance also plays a major role in Acne and other distressing and uncomfortable dermal conditions. Just wanted to give feedback on the [FACIAL OIL] No. 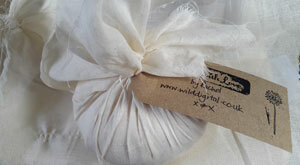 2 oil I bought from you, Bath Salts with geranium [Psoriasis & Eczema blend] and the Dead Sea [Mud] face mask. I’ve been using the oil daily and it continues to give my skin a healthy glow and my skin is lovely and moisturised. My daughter and I had a pamper night and the face mask was amazing. My face felt baby soft afterwards and it was easy to use. Finally the bath salts were a real treat and the psoriasis on my knees is lots better and not as angry looking and scaly. We also supply products to combat EMF, (Electromagnetic Frequencies or Fields). We stock Shungite jewellery & Shungite Pyramids from Russia to help neutralise damaging EMF in or environment. Wild As The Wind is devoted to sharing the latest health insights, providing skincare formulations, essential oils, and bath salts designed to make everyone look and feel a whole lot better. We are living very unnatural lives compared to what our bodies are designed to be and do. Modern living, and the workloads we take on to afford all of it’s trappings, has deviated away, almost completely, from how nature intended us to live our lives. Informing the public of the health risks of our current way of life is the fundamental driving force behind Wild As The Wind. All products provided by Wild As The Wind are either organic, wild crafted or naturally produced. Wherever possible, we work with local businesses to reduce our carbon footprint. Wild As The Wind is a Bristol Green Capital Partner. Formulations and oil blends are the result of years of research and practical application. Mineral salts and Castile soaps have also been prepared to provide optimal health benefits. You will see us at markets and specialist events in Somerset, Avon, Gloucestershire, Wiltshire and Devon throughout the year. Please contact us for an up-to-date list of events. Regular markets include Wells Market on Wednesday and Saturday, and Shaftesbury Cobbles Market , every third Sunday of the month. We are occasionally at the outdoor Nail’s Market, which fronts the indoor St Nicholas Market, off Corn Street in central Bristol on Fridays, and very occasionally at the Shepton Mallet Sunday Market. We will also be at the monthly artisan market at Tintersfield, the National Trust property just outside of Bristol. Our products are available in a number of shops throughout Bristol, Bath, Wells and Somerset & they are also available online. Private parties: We are also happy for you to arrange and host a Wild As The Wind sampling and ordering party. The products :: blended facial oils & blended body oils, bath salts, all natural deodorants & Castile soaps to test and purchase at the party. We will also provide the full range of Essential Oils to be sampled on the night, as well as a limited number of the most popular essential oils to buy. *Orders will be taken for items that are unavailable on the night, which will be fulfilled a few days after the party. Shungite jewellery for combating EMF, (Electromagnetic Radiation). We will, of course, also supply the know-how! It’s also possible for parties to begin with a talk or workshop. Please note, talks and workshops are chargeable as a separate item to the skin and healthcare products. Parties are a great way to gain a much more intimate knowledge of the healing properties of the products. It is even possible for us to create a customised oil blend for individuals on the night based on their unique personal needs. Products are also available at talks and workshops. We also work with several other suppliers who endeavour to stock as many wild crafted essential oils, which are our primary choice when buying essential oils, as well as a good range of organic essential oils, which are the Wild As The Wind go-to second preference. We are pleased to be supplying a few StarChild Essential Oils and using them in our oil blends. StarChild is an ethical business based in Glastonbury, Somerset. Star Child is an inspirational force that seems to channel a consciousness rooted within the plant kingdom. It’s message holds a key for unlocking those parts of the mind that allow us to connect with the spiritual aspects of nature. Wild crafted essential oils are essential oils made using plants that have grown wild, and have been collected for the purpose of making essential oils. Wild plants tend to choose the most fertile pieces of land in which to grown. They also prefer the cleanest of environments. They are grown completely free of any interventions. Organic Essential Oils are cultivated on farms that adhere to all of the guidelines laid out by the various organic farming agencies, such as the Soil Association. Sadly, cultivated plants, even the organic ones, are grown intensively, and are subject to a lot of interventions. Crops are often sprayed with substances deemed permissible within organic farming guidelines, and although the soil is kept infinitely more fertile and conditioned, it still isn’t as good as the earth that Mother nature provides. It will come as no great surprise that Wild As The Wind prefers Wild Crafted Essential Oils because they are the most natural of all oils. We believe that the energy of the wild plants are different to the cultivated ones. We perceive them to be more robust and energetically potent. The list of talks and workshops will continually evolve and will be heavily influenced by feedback and requests… so please make your voice heard. If you are interested in attending a talk or workshop, or you would like to be notified of all the revelatory health insights we publish, please subscribe to our mailing list. We are dedicated to supporting independent, ethical business, sourcing locally and positively contributing to the health and well being of all we have contact with. Our ethos is simple: If it’s good we share it, if it’s unhealthy we expose it, if it supports our bodies own amazing healing abilities we celebrate it. We love Sayer Ji, the man behind GreenMedInfo, which we consider to be the most valuable online resource for complimentary health practitioners and the general public ever created. The GreenMedInfo website publishes all the evidence based research into the efficacy of natural medicines and natural health protocols. Go to the GreenMedInfo dash board and check your condition by reading all of the evidence based research that relates to what you’ve got. Information is presented in an easy to read format, and is cross referenced with relative information. It truly is an amazing resource! Wild Digital is also a full service digital marketing and PR agency. However, marketing and PR activities have reduced significantly since launching Wild As The Wind. We now only take on new marketing and PR clients in exceptional circumstances. Unless you are an allied or complimentary business that espouses the same principles and ethos as Wild Digital, please do not approach us to provide marketing and PR services on your behalf. With many thanks to Jonathan Bull Photography for some of the beautiful images used on this website. Jonathan, makes gorgeous greetings cards that you can buy via Facebook or Etsy. Hello Rachel Purchased frankincense oil from you at Wells Market and I have to say it is the best I have ever come across…so thanks…we talked some about the dangers of EMFs and stuff….subscribed to mailing list…also the product I was referring to for joint paint relief is called Himalya Shallaki 100% pure boswellia serrata. 100% works! **I have been asking around about getting Frankincense Frereana, as it’s the best for anti-aging out of all the different forms of Frankincense, but, as yet, no one has been able to track any down for me. It generally comes frrom the Middle East, and so it’s not so easy to get hold of… I’ll keep trying. However, the Frankincense essential oil you bought from me is Frankincense Seratta, and so you can dilute it and apply it to painful joints 🙂 A lot of people advocate placing a couple of drops of Frankincense essential oil on a teaspoon of coconut oil and holding it in the mouth for a couple of minutes before swallowing. Whilst I would not advocate doing this, as I’m concerned about any come-back from the authorities, I haven’t read any negative feedback about this practice, and so it looks to be pretty safe. I am so very pleased to hear this. Thank you very much for letting me know. I loved meeting you all. I hope to see you again at Wells. But, for now, you are better off being in the Canary Islands! The weather here is not so good now. Me encantó conocerlos a todos. Espero verte de nuevo en Wells. ¡Pero, por ahora, es mejor estar en las Islas Canarias! El clima aquí no es tan bueno ahora. Can we buy your oils from canary island? Thanks so much! I’m so glad you’re enjoying it so much! I love it when people have such an ecstatic response to Wild As The Wind oil blends. I know that when these oils resonate so well with someone they really help them to heal from the outside in.